Lack of Sellers: In the face of massive home appreciation and excellent conditions that have favored sellers for years now, fewer homeowners are opting to sell. In 2009, the midst of the Great Recession, a trend emerged. Fewer sellers were coming on the market. It made sense back then; homeowners watched their home equity evaporate overnight, so why would homeowners trip over themselves to sell in the middle of a tumultuous, deep buyer’s market? As a result, from 2009 through 2011, 22% fewer homes came on the market each year compared to 2000 through 2008. In 2012, the housing market turned around, tipping in favor of sellers for the first time since 2006. Even though it was a seller’s market, the trend of fewer homeowners opting to place their homes on the market not only continued, it deepened. For the past six years, from 2012 through 2017, the number of homeowners coming on the market annually dropped from 22% fewer to an average of 31% fewer. To put it all in proper perspective, there were 1,500 more homes coming on the market every single month from 2000 through 2008. That is an additional 18,000 homes per year. Today’s buyers would love to see more inventory. It is frustrating to be a buyer. With a lack of inventory and backed up demand, properly priced homes generate a parade of showings, open houses with buyers bumping into each other, and multiple offers (and in some cases, almost too many to count). The lack of inventory is no longer a trend. After 9 years, it is a norm, a way of life within the trenches of real estate. A lack of inventory is not just a standard in Orange County; it is the new standard across Southern California, the entire state of California, and across the United States. People are no longer selling and moving like they did before. Based upon 2017 closed sales, the turnover rate for the Orange County housing stock is once every 20 years. That is an improvement over 2016’s once every 21 years, 2015’s once every 23 years, and 2014’s once every 24 years. Although it may be slightly improving, once every 20 years is a long time to hold onto a home before opting to sell. In 2017, the markets with the best rates were mainly newer areas, but there were a few exceptions. Ladera Ranch and Rancho Mission Viejo, Coto de Caza, Newport Coast, Rancho Santa Margarita, and Talega are all newer areas. More homeowners move between two to eight years of homeownership than any other number of years lived in a home. In newer areas, more homeowners fall within this parameter than in older, more established areas. Laguna Woods has enjoyed a higher turnover for years now and has been an exception on this list. Corona del Mar and Dove Canyon are two areas that are new to the list. Why they are at the top of the list is anybody’s guess. The top turnover rate in Orange County can be found in Ladera Ranch and Rancho Mission Viejo, once every 11 years. The lowest turnover rates can be found in more established, older cities: Anaheim, Buena Park, Cypress, Fountain Valley, Seal Beach, Westminster, and La Palma. The lowest rate in Orange County was in La Palma where homeowners are moving once every 30 years. Through surveys and in-depth studies, experts and statisticians have figured out many of the reasons there are not enough homes for sale. The biggest contributing factor is that baby boomers are staying put. They are not moving like many had originally anticipated. They have been slower than prior generations to sell the family home. Perhaps it is because baby boomers are living longer and are living a healthier lifestyle. The need to sell the family home is not as daunting right now, so they are happy to just age in place. During the Great Recession and the recovery, millions of investors have converted family homes into rentals. With rising home values coupled with rising rents, holding onto these homes has proved to be a wise long-term investment. There is no incentive for them to sell anytime soon. In addition, homeowners have cashed in on lower mortgage rates through purchase and refinance loans. 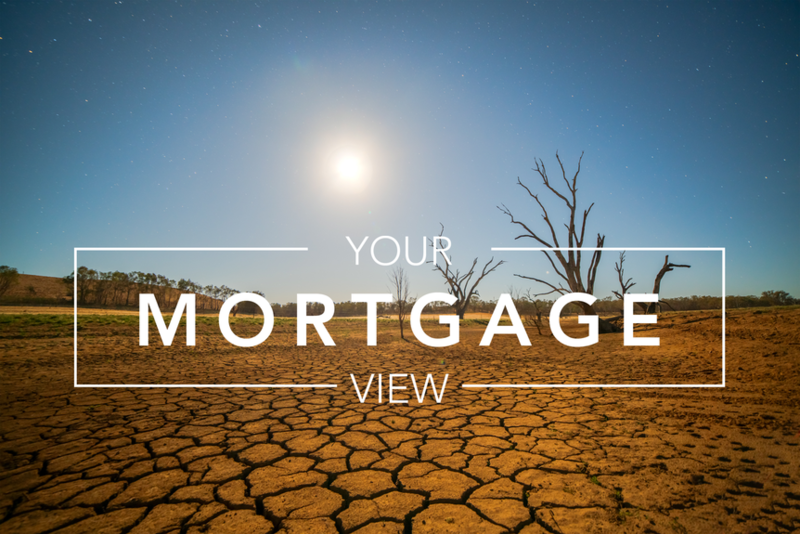 Many are locked into 30-year fixed rates well below 4%. As interest rates rise, homeowners will elect to stay put and continue to enjoy their lower interest rates. Finally, new homebuilders are ignoring the entry-level buyer. Builders used to cater to the entry-level buyer and the luxury end was the exception. Today, it is the other way around. Seemingly, everything is now tilting towards the luxury buyer. Without new affordable housing, the residential resale entry level has been squeezed. As a result, the lower end resale market has been on fire for years now and has appreciated dramatically, propping up the rest of the market. Buyers in today’s market need to understand that the lack of supply is not a trend; it is the new norm. To be successful, buyers must realistically approach the market with a solid game plan, a game plan that includes patience, a very sharp pencil, and the ability to proceed quickly. 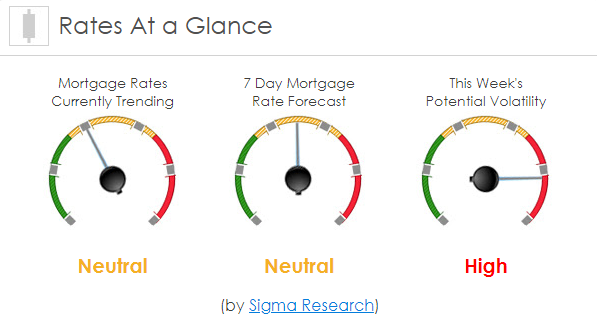 Mortgage rates are trending slightly lower so far today. Last week the MBS market worsened by -2bps. This wasn’t enough to move mortgage rates. Mortgage rate volatility was relatively low last week.